Have you ever left the house for a workout and realized you’ve left your headphones behind? Or realizing that your music player is either dead or on low battery, halfway into your routine? That sudden sinking feeling is enough to contemplate whether you should do your workout at all. This has happened to me a couple of times. The impact that music has on training is astounding. What music do you listen to while training? 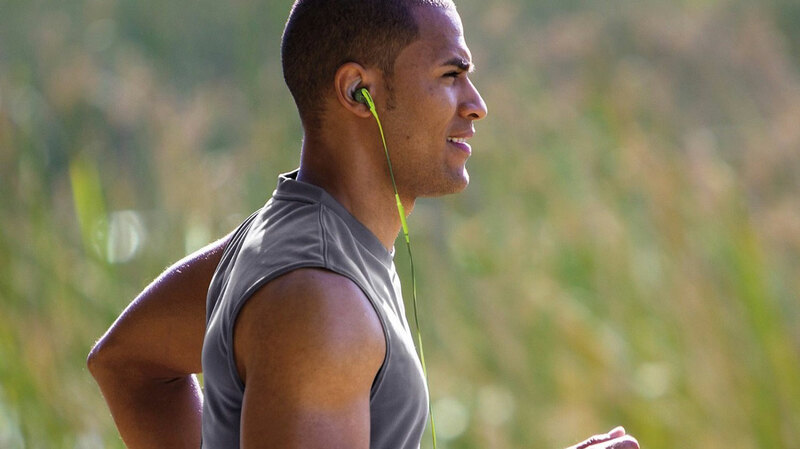 Is it your gym’s selection, your personal playlist or none at all? If you find that you’re bored at the gym, you may want to add a music playlist. I find that this makes my time at the gym more enjoyable. As duty every Sunday evening, I compile a list of songs I fancy for my weekly workout sessions. music to increase arousal (e.g., the desire to move rather than to sit) and the tendency for music to distract the exerciser from discomfort that might be related to exercise. A recent study published in the Journal of Strength and Conditioning Research examined the effects of picking your own tunes while you work out. The study examined two groups. Each participant in the first group listened to music of his own choosing. Each participant in the second group listened to no music at all. Groups were tested on two movements: bench press (of course) and squat jumps. The results were intriguing. Music selection seemed to have helped the participants in Group One. When questioned about their moods and levels of fatigue, those who listened to music during their workouts felt it altered their mood and caused a little more speed than those who didn’t listen to music. The individuals were told to ride at a pace that they could keep up comfortably for 30 minutes. Throughout this period, they had their heart rate, power output, pedal cadence, enjoyment of the music and rate of perceived exhaustion (RPE) monitored. The results were conclusive that the tracks with a higher tempo increased the participants heart rate and pedaling speed. Not only this, but they also covered more distance and enjoyed the music more. This means that if you’re doing some form of cardio then picking a playlist with high beats per minute (BPM) could make all the difference.So, the best exercise music depends really on what you’re doing during your sessions. It might not always matter, but overall, the research shows it’s best to choose your own tunes. Of course, those times when you do leave your headphones behind means that your fate is down to the gym’s speakers.